The June 16 attack on a mosque in Alberta – following Eid celebrations to mark the end of Ramadan – is a sad reminder that more compassion, tolerance and understanding is needed in Canada. 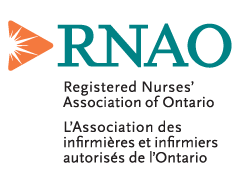 Members of the Registered Nurses’ Association of Ontario (RNAO) condemn the attack and similar attacks that have occurred in places of Muslim worship in other cities and provinces. RNAO says such acts of vandalism are hate crimes, and should not be tolerated.